Xero HQ provides advisors with one central location where they can receive alerts about relevant activity from the whole of their client base. 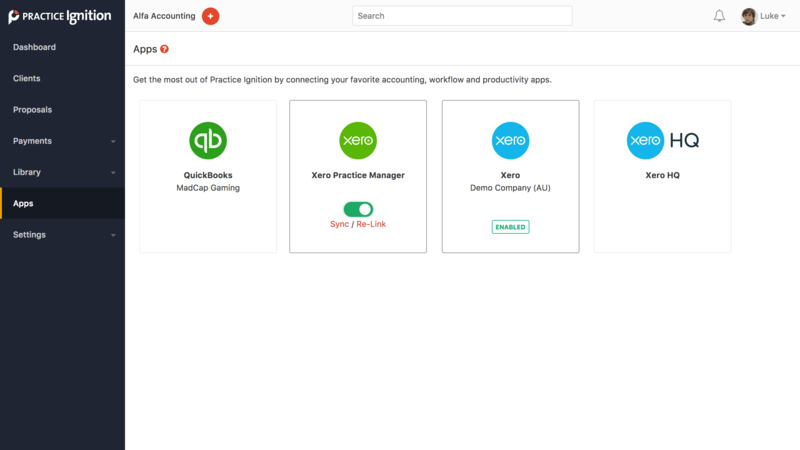 Practice Ignition is now able to connect to Xero HQ. This means that activity that happens in Practice Ignition, such as proposals being accepted or payments failing to collect, can also be sent to your Xero HQ. You'll then see alerts from Practice Ignition alongside alerts from client Xero accounts and other Xero add-on products. How do I connect to Xero HQ? 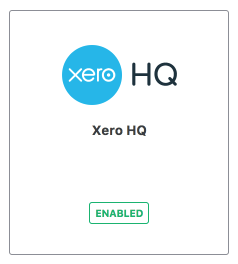 To connect Xero HQ, go to "Apps". If you can't see Apps in the left hand menu, you'll need to have administrator permission added to your account. What alerts will I receive in Xero HQ? This alert is sent when a client accepts their first proposal through Practice Ignition. This alert is sent to all Xero HQ users, so you will see this even if you aren't subscribed to Xero HQ alerts for the particular client. When a client accepts their proposal this alert will be sent to Xero HQ. The "View" link takes you back to the accepted proposal in Practice Ignition. When a client leaves a comment on a proposal, this alert will be sent to Xero HQ. The "View" button will take you to the proposal where you can reply. If a payment fails to collect, you'll receive this alert. The "Re-schedule" link will take you directly to the relevant payment in Practice Ignition. You can then re-schedule collection for another time. If payment collection is re-scheduled, this alert will automatically be deleted in Xero HQ. If a credit card is in use on an active proposal and is due to expire soon, you'll receive this alert. The "Update" link will take you to the payment settings for the relevant proposal, where you can update the payment method. Switching to a new payment method in Practice Ignition will automatically delete this alert in Xero HQ. Are there other types of alert you'd like to see? Please let us know! This is the first version of our integration with Xero HQ and we'd like to extend it with more alerts in future.